Portable Balances from $109.99. ChemWorld.com is a supplier of water treatment complete test kits, chemicals, and reagents. Our test kits typically ship within 24 hours. All products are in stock and ready to ship. 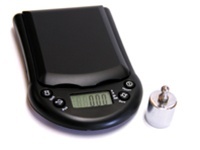 Order your Portable Balances today online and save! For more information regarding Portable Balances, please contact us direct at: sales@ChemWorld.com.